A comprehensive examination of the rituals and philosophies of the Celtic holiday of Samhain, the inspiration for Halloween. 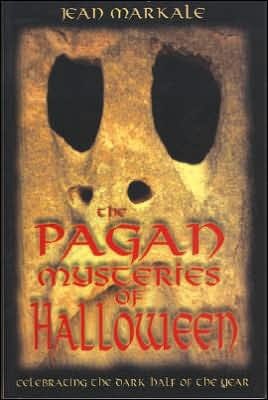 • Presents the true meaning of this ancient holiday and shows how contemporary observances still faithfully reflect the rituals of pagan ancestors. • Explains why this holiday, largely confined to the English-speaking world since the advent of Christianity, has spread throughout the rest of Europe over the last two decades. One of humanity's most enduring myths is that the dead, on certain nights of the year, can leave the Other World and move freely about the land of the living. Every year on October 31, when the children of the world parade through the streets dressed as monsters, skeletons, and witches, they reenact a sacred ceremony whose roots extend to the dawn of time. By receiving gifts of sweets from strangers, the children establish, on a symbolic plane that exceeds their understanding, a fraternal exchange between the visible world and the invisible world. Author Jean Markale meticulously examines the rituals and ceremonies of ancient festivities on this holiday and shows how they still shape the customs of today's celebration. During the night of Samhain, the Celtic precursor of today's holiday, the borders between life and death were no longer regarded as insurmountable barriers. Two-way traffic was temporarily permitted between this world and the Other World, and the wealth and wisdom of the sidhe, or fairy folk, were available to the intrepid individuals who dared to enter their realm. Markale enriches our understanding of how the transition from the light to the dark half of the year was a moment in which time stopped and allowed the participants in the week-long festival to attain a level of consciousness not possible in everyday life, an experience we honor in our modern celebrations of Halloween.